Post #52 - Play that funky music, white bird! So....this bird has been hanging around Orange County for the past few weeks. I first observed it at Mile Square Park two weeks ago, and I more recently ran into it again at Carl Thornton Park. It was fairly approachable the second time, letting me get close enough to snap this photo with just a 50mm lens! What on earth is this bird? It lacks the black wing primaries of a Snow Goose, as it does the characteristic black grin patch on the bill of that species. This birds legs and bill are also orange, not the pinkish we would expect on a Snow Goose. So, we can probably rule that species out, as we can the smaller but fairly similar Ross's Goose. Maybe this bird is some sort of domestic fowl, a genetic amalgamation many generations removed from anything either pure bred or completely wild. Actually, it is a genetic anomaly, but not of the domestic sort. 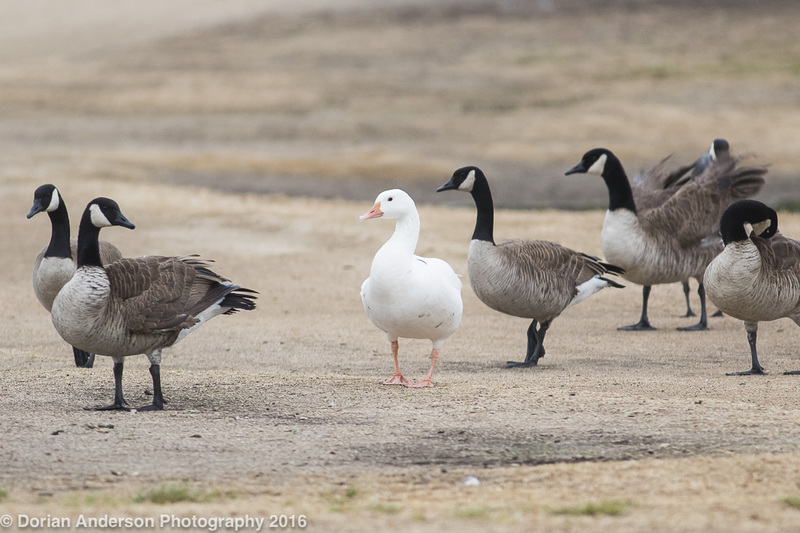 Based on this shot, I (and many others who have seen the bird) surmised it is a leucistic Canada Goose! Guilt by association aside, the structure of the bird fits this diagnosis perfectly (see group shot below). Hold on, wait a minute. What does leucistic mean? And how is it different from an albino? Well, albanism is a genetic condition that results from a defect in the production of melanin. Melanin is a pigment that is expressed in pigment cells in the hair and skin (from which feathers originate) as well in the retinal cells of the eyes. It is the lack of melanin in retinal cells that causes the characteristic pink-eyed phenotype. Importantly, the normal pigment cells are present, but they are defective in melanin production. The pigment cells in the hair and skin are still fully capable of producing other pigment types, so albinos can sometimes appear yellowish due to the normal production of these other pigments. 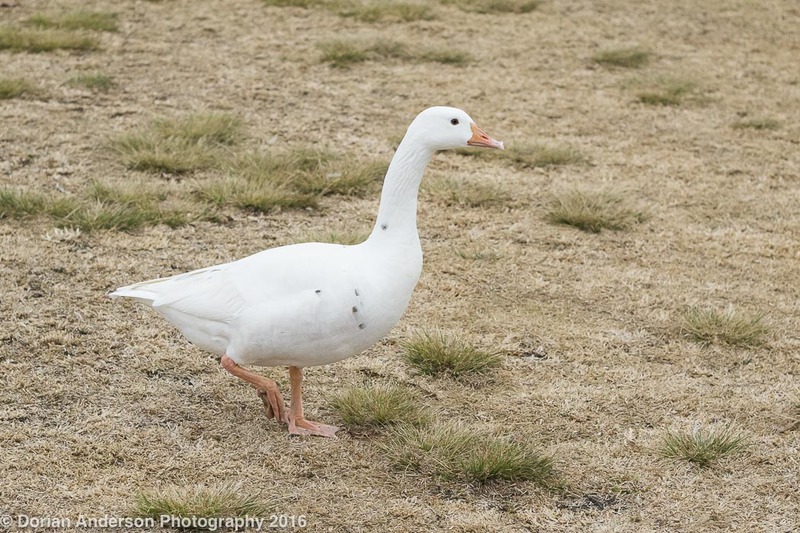 Leucism, on the similar but other hand, results from a lack of the pigment cells themselves. This means that little to no pigment is produced in the hair or skin of leucistic individuals. The eyes aren't affected in leucism as the retinal cells are present and still capable of producing melanin. Make sense? Maybe? Even as a seasoned geneticist, I have difficultly with this! I am willing to bet that loyal blog reader Greg B will have something to say about this. Hopefully he can clarify anything that is confusing. Be sure to check in on the comments section at a later date to see if he chimes in! 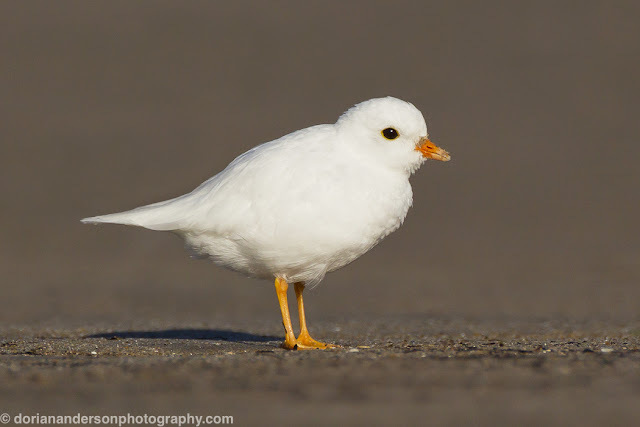 Over the years I have seen many partially leucistic birds. Though the above goose is a great example of the condition, this Piping Plover that I photographed on Plum Island, Massachusetts a few years back is the single best example of leucism I have seen! I first observed this bird as it flew in off the ocean. As it wheeled towards the beach, I almost soiled myself. I though I had found something of the 1st-North-American-record sort. I was going to be a MassBird legend! Once it landed, I realized that I was looking at genetic rather than geograpahic rarity. In some respects, this individual is as rare as it gets, inside or outside the bird's normal range. I was stoked to grab a few nice shots of the little guy before he resumed his oceanic trajectory. One for the archives for sure! Post #51 - Impromptu pelagic, will the ABA Big Year record fall this year? As fate would have it, a last minute cancelation afforded me the last spot on the Sea and Sage Audubon Society winter pelagic trip out of Dana Point this past Saturday. As I hadn't been offshore in the last few months, and ever from Orange County, I figured the trip would be a nice day on the usually calm waters of Southern California. The day went precisely as I expected. We hit pockets of birds here and there, and we managed to run up a list of pelagic species that included Pomarine Jaeger, Northern Fulmar, Pink-footed Shearwater, Black-vented Shearwater, Cassin's Auklet, Common Murre, and Brown Booby (once rare, now expected on SoCal pelagics). All of these were Orange County birds for me, as were near shore species Brandt's Cormorant, Black Oystercatcher, Pacific Loon, and Black Turnstone. Most of the birds were distant or poorly lit, but I did, after many West Coast pelagics, finally get a few really good shots of Black-vented Shearwater! Black-vented Shearwater is a generally warm water shearwater that has recently become more common in California. As recurring El Nino events have moved warm water up the California Coast in the last few years, this species has correspondingly spread northward. 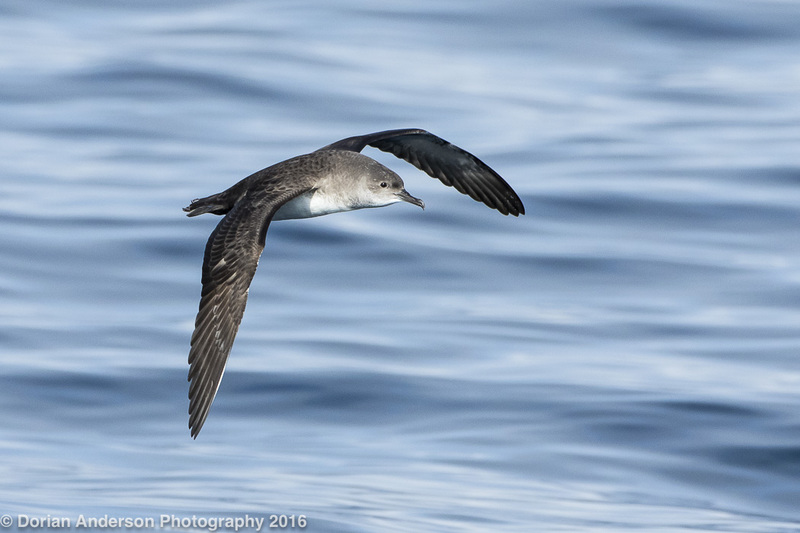 Named for their black undertail, or vent, they are the smallest of the expected Pacific shearwaters. They are relatively compact and fly with stiff, fast wingbeats. 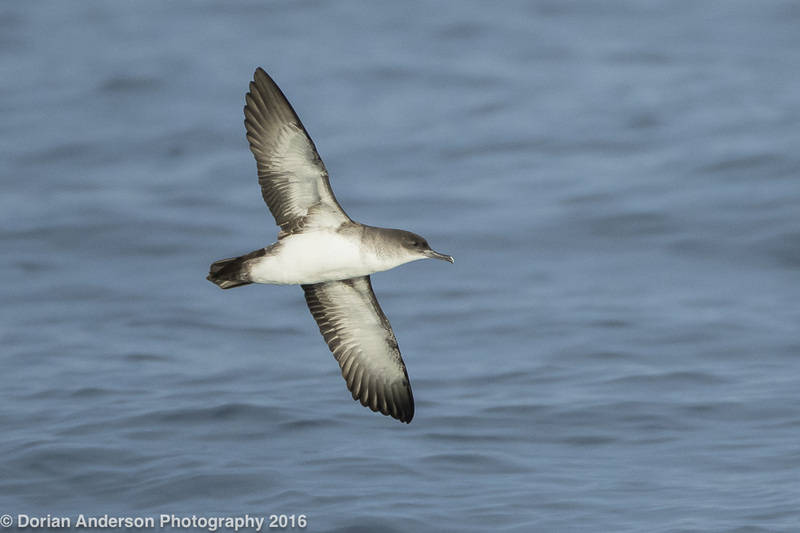 They can be seen from shore and are generally a good bird for beginners to learn before they graduate to separating/identifying rarer Pacific species like Manx Shearwater. Anyway, it was nice to grab a few nice frames of these speedy little guys. I will admit that I really love this county listing thing, particularly as Orange is so convenient to and small compared to other California counties. What Orange lacks in photographic opportunities, it certainly makes up for with bird diversity. Now-friend Jeff Bray found 329 ABA countable species in Orange County last year to equal the record OC Big Year effort made by also now-friend Tom Ford-Hutchinson in 2013. That's some serious, close to home birding for both of those OC residents! Anyway, one of the things I love about pelagic trips is the social component. On any pelagic trip there are going to be birdless stretches during which the focus shifts to socializing. This really helps to break up what can otherwise be a long day on the water. Bird stories are predictably swapped, and usually there are at least a few laughs had. On really slow trips each person can take solace in knowing he or she wasn't the only one who ventured forth on that particularly unproductive day. So go pelagics; For every amazing trip there are going to be a few duds from which there is no escape other than a long swim home. Luckily, this wasn't one of them. Also on board the boat was Minnesota resident Olaf Danielson, 2016 Big Year birder extraordinaire! In just the first 3 weeks of the year, Olaf has amassed roughly 350 bird species. To put that into perspective, Neil Hayward, who set the ABA Big Year Record with 749 species in 2013, did not find 350 species until late March! Neil dubbed his year The Accidental Big Year to reflect the fact that he kind of fell into it by chance. Once he got going though there was not stopping him! It will be very interesting to see how Olaf's year unfolds. I simply cannot imagine given the birds he has found already, he won't make a serious run at Neil's record. Olaf is a very interesting character, and I encourage you to visit his blog to see exactly what I mean! OK, that's it for this installment. Hopefully I'll run into at least a few of you on a pelagic in the near future! Woo Hoo! First post of 2016, yet another Big Year for me! Just joking, I'm still recovering from the last one! Let's get year 2 kicked off in style. Please do share this blog with anyone and everyone you think might find all this bird-craziness at all interesting or entertaining. The more the merrier, right? I am going to try to update it each Tuesday, but some of that will be dependent on my ability to get out birding/photographing to generate content. Easier said than done working a a 60/hr a week job and writing a book on the side! 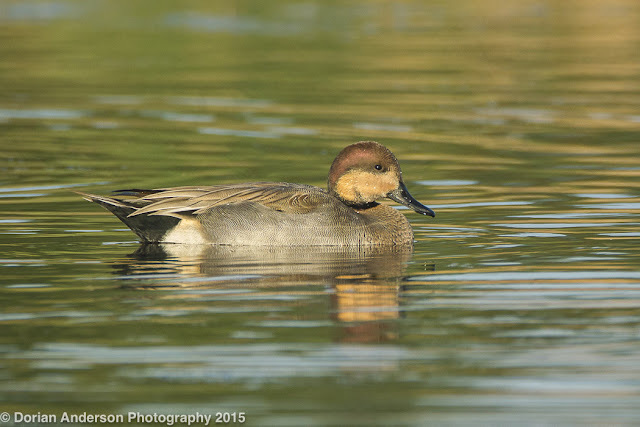 Anyway, the Mallard-Pintail from last week really got me thinking. I realized that I have photographed a few other hybrids in the last few years. I'll share these photos with you and we can together try to sort out who came from who. Sound good? 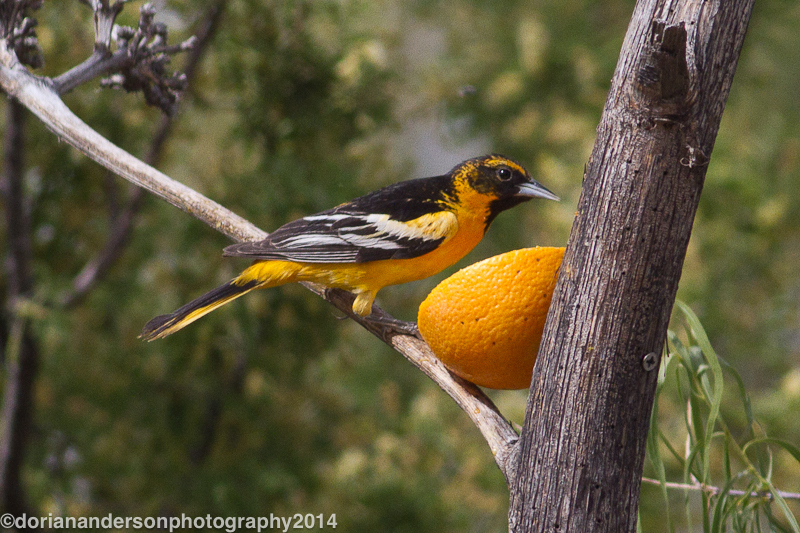 Let's start with this odd oriole. This bird was photographed in Arizona (Portal) in May of 2014 during my bicycle Big Year. The first thing that jumps out about this bird is the facial pattern. Bullock's Oriole would have a generally orange face with a black eyeline. This bird has more black than would be expected on the face of that western species, but not a full black hood like that of the more eastern Baltimore Oriole. The facial pattern thus seems intermediate between the two species. So does the wing pattern, with the coverts showing more white than a Baltimore but not the extent of the Bullock's. So far as I can discern, this is a Bullock's x Baltimore hybrid. I am sure that there are some other, subtler nuances that better birders might be able to glean from the photo, but I feel that between these two, generally easy-to-see-and-discuss field marks, there won't be too many fights about this identification. Next up is an interesting shorebird that I photographed on Plum Island in September of 2013. The images are heavily cropped and the lighting was beyond terrible, but we can start to deconstruct the genetics that possibly produced this rarest of rare birds. I nearly wet myself when I first laid eyes on this bird. It was initially spotted by Massachusetts birder Suzanne Sullivan as it flew in to join a group of several hundred similarly sized shorebirds. She immediately pointed it out to me, and we both realized that we were looking at something incredibly rare. Mentally running through the possibilities, we quickly realized it was a hybrid of some sort. I was able, with much maneuvering in the mud, to obtain at least one other decent shot of it. 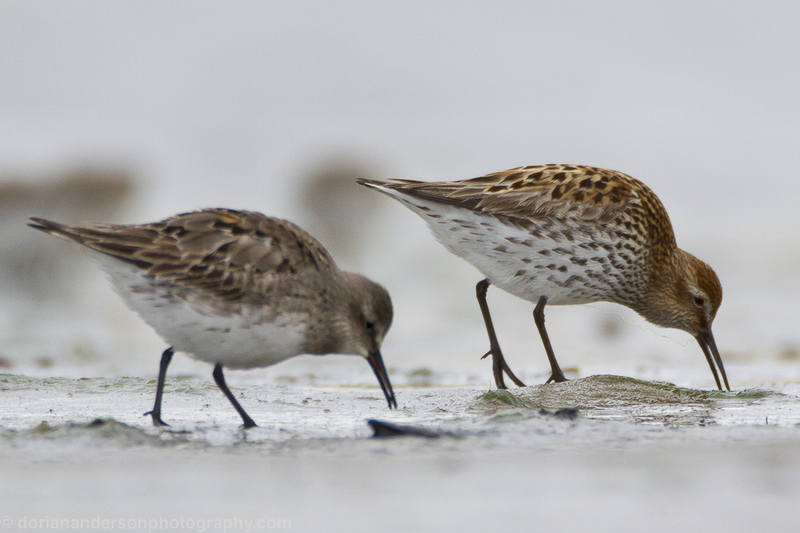 The bird on the left is a White-rumped Sandpiper (WRSA) and will provide a starting point for our dissection. Our mystery bird is about the size of the WRSA. It has remarkably generally similar shape and wings that reach the tip of the tail. Though it is not easy to see in this photo, the first photo shows the bill to be both longer and more decurved than a pure-bred WRSA. 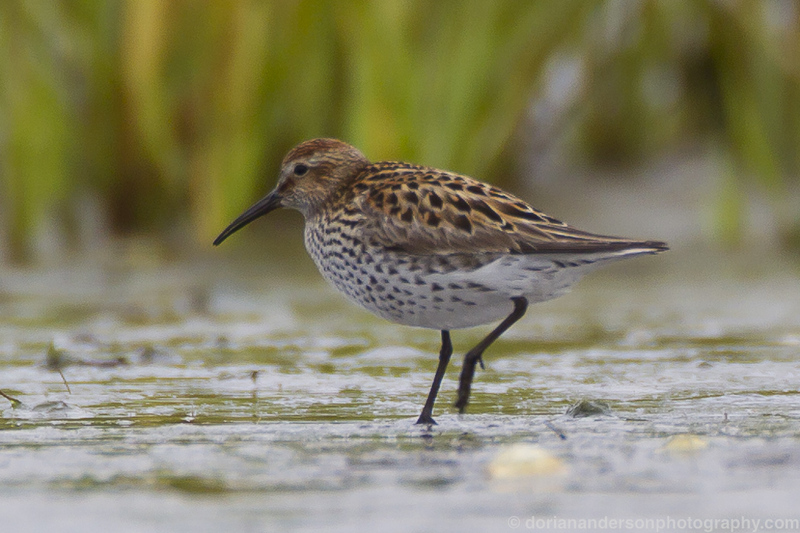 Its bill shape is actually more suggestive of a Dunlin than anything else. The streaked flanks and breast are also suggestive of WRSA, but rufous color on the back and head are all wrong for that species. Here again, the bird resembles, a Dunlin. Dunlin do not normally have rufous heads, but the head pattern at least resembles WRSA. So, without being able to obtain a feather for DNA analysis to confirm my speculation, the phenotype suggests that our mystery bird might in fact be a White-rumped Sandpiper - Dunlin, a "Rumplin" as some have dubbed the intergrade. Whatever it was it was certainly very exciting when in appeared! 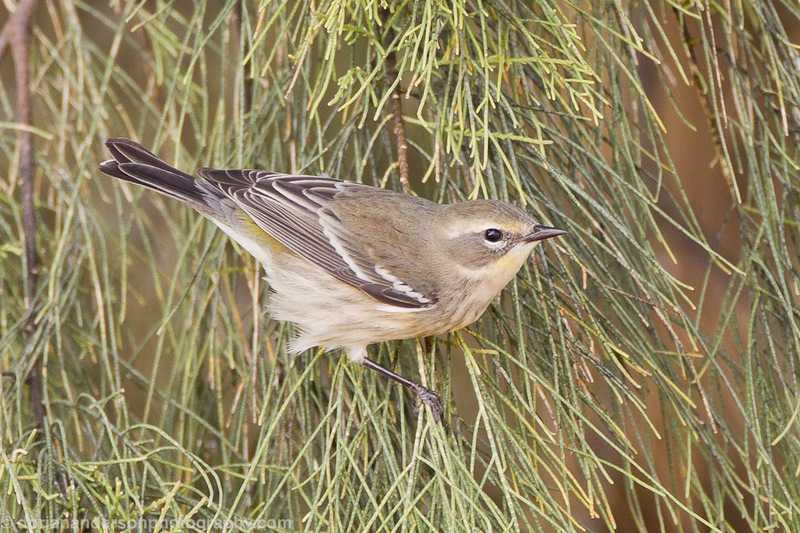 Last is this presumed hybrid warbler several of us found and photographed in Ventura, California in October of 2013. It was in a huge feeding flock comprised mainly of Yellow-rumped Warblers and Townsend's Warblers. Without a good look at the face, this bird could easily be passed off as yet another Yellow-rumped Warbler among the hoards with which it was associating; It has a generally gray-brown back, faint streaks on a dusky breast, and a yellow rump, all general features of winter plumage Yellow-rumps. However, with a good face view, pure-bred Yellow-rumped Warbler seems highly unlikely. The main thing that jumps out is the broad supercillium above the eye. This feature, to me, is strongly suggestive of 2 eastern species, Blackburnian Warbler and Cerulean Warbler. This bird does have 2 white wing bars which is consistent with both of those species, but the generally gray color isn't right for either. The back is unstreaked, a feature of Cerulean. The problem is that that feature could have come from the other parent, so it doesn't allow us to firmly conclude much. So, while I am far from certain about anything on this bird, it seems that it could be a Yellow-rump x Cerulean or a Yellow-rump x Blackburnian hybrid warbler. I guess it is also possible that one parent of this bird was a hybrid that mated with a pure bred species. Who knows?!?!? I welcome any input anyone has on any of these birds. I personally find hybrids to be loads of fun. There are obviously incredibly rare, and they usually stimulate at least some identification debates in the birdosphere. I like to keep the discussions fairly general; I'm not into dissecting every single individual feather. I mean, were never going to know for sure, right? If I find any more in the future, you can bet they will appear here!